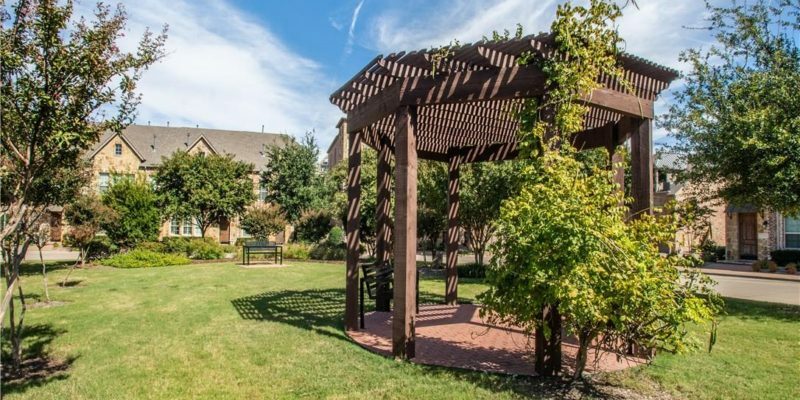 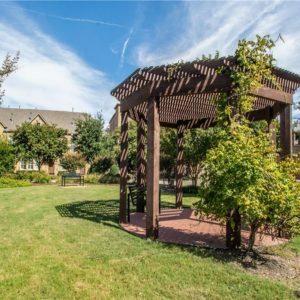 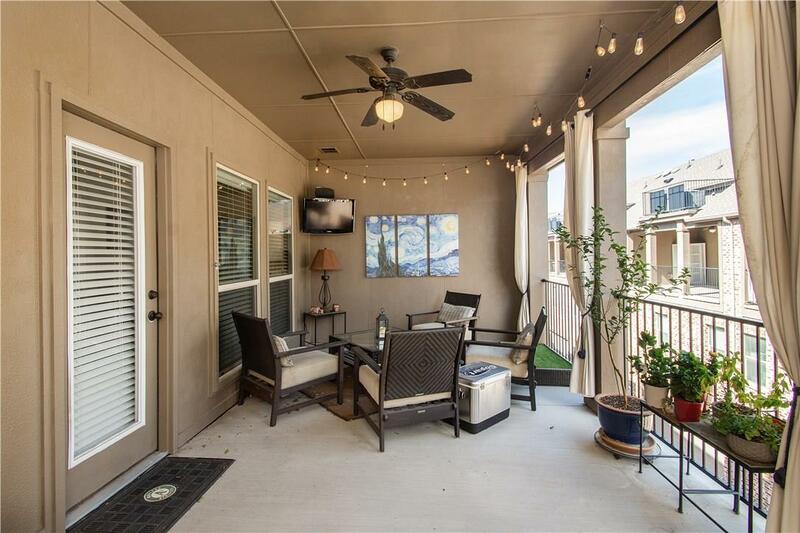 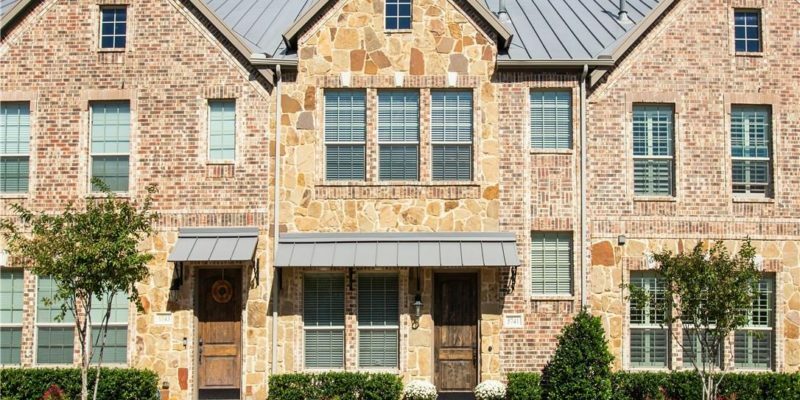 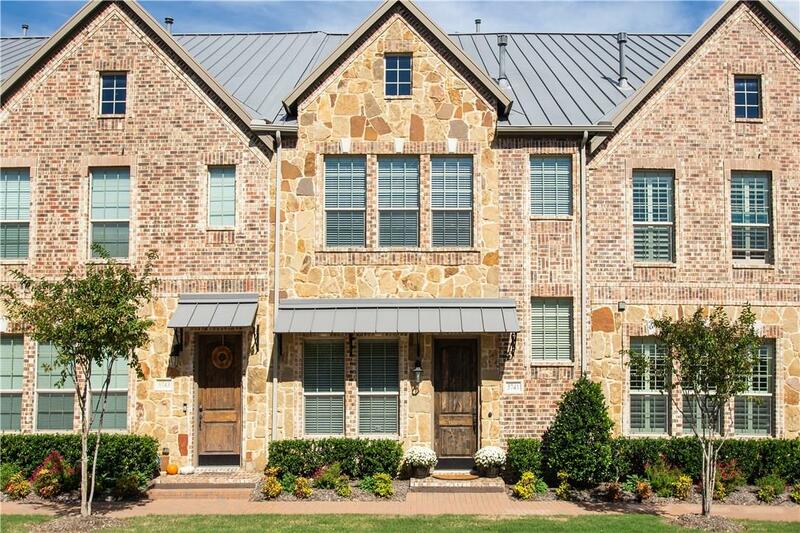 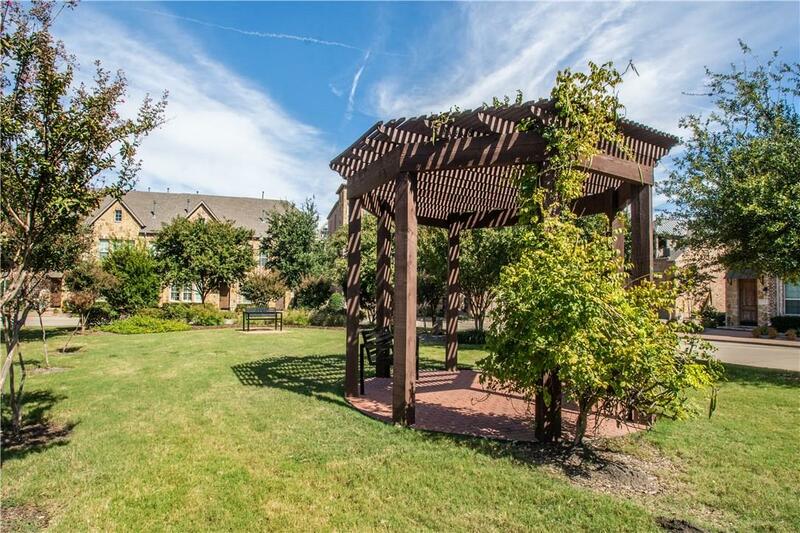 This exquisite townhome, located just steps from the fabulous Shops of Legacy, has an unbeatable location. 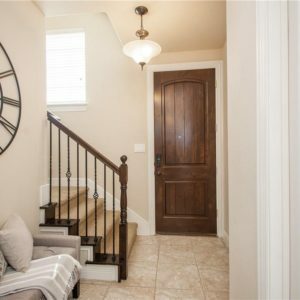 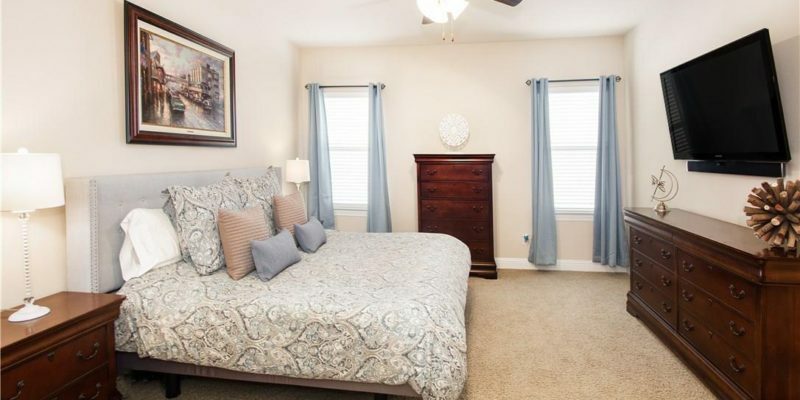 The ground floor welcomes you with an inviting entry, two downstairs rooms and a full bathroom. 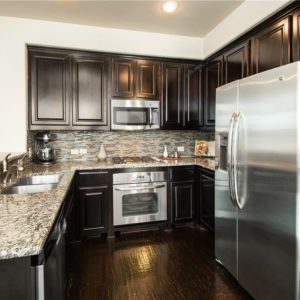 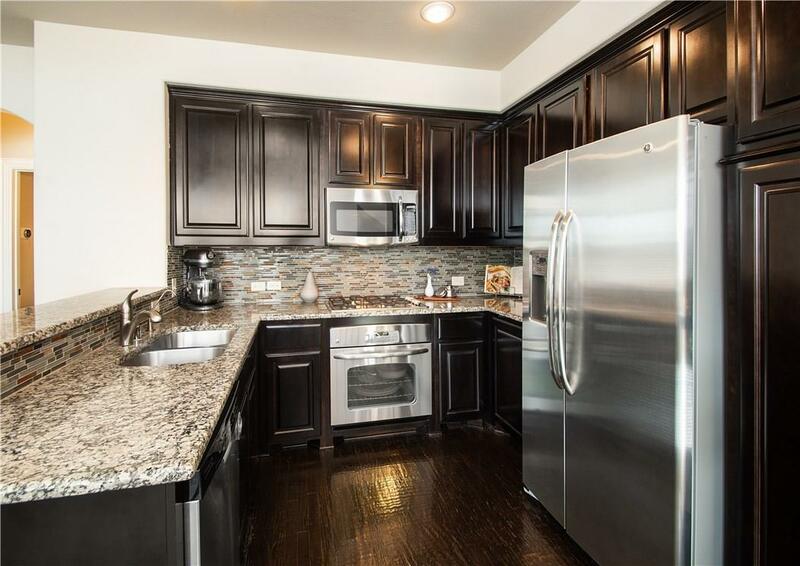 On the second level you will enjoy a sleek, high-end kitchen complete with espresso wood cabinets, a designer tile backsplash, stylish granite, and stainless steel appliances. 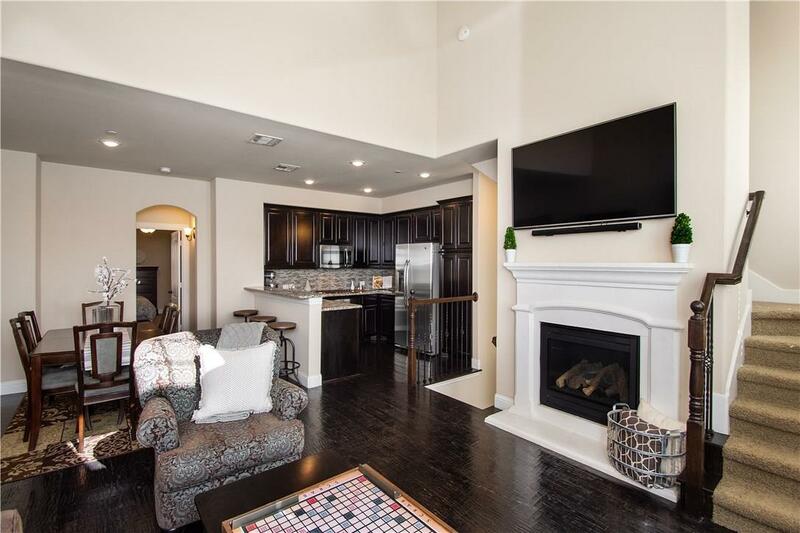 The kitchen opens to the family room that boasts grand, vaulted ceilings, large windows, a cozy fireplace and gorgeous ebony wood floors. 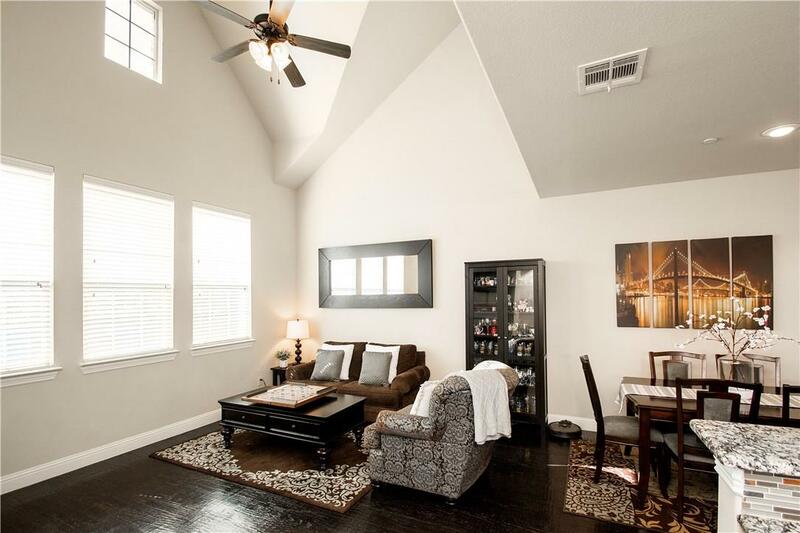 The dining space has plenty of room for a buffet or console table. 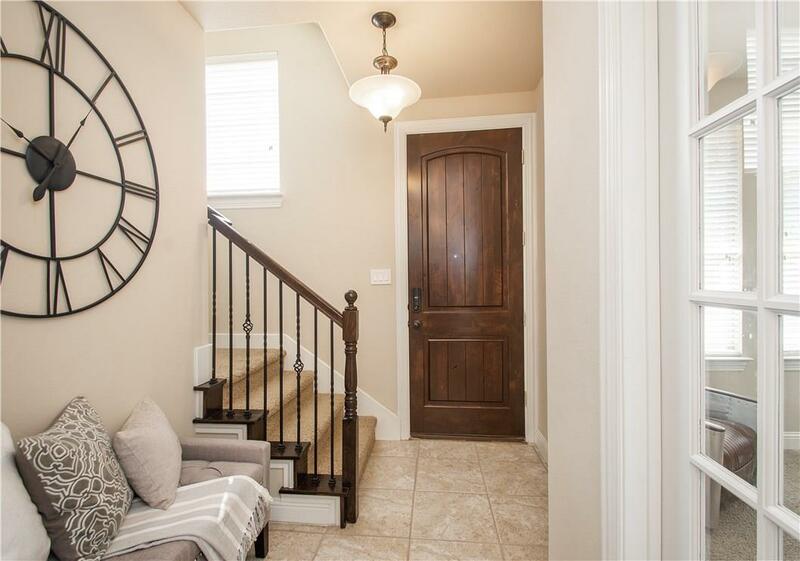 It’s an ideal open concept for entertaining! 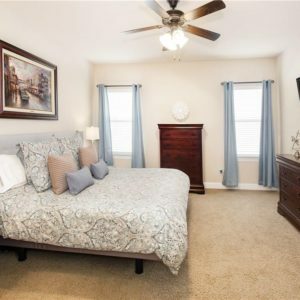 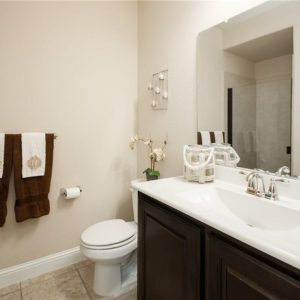 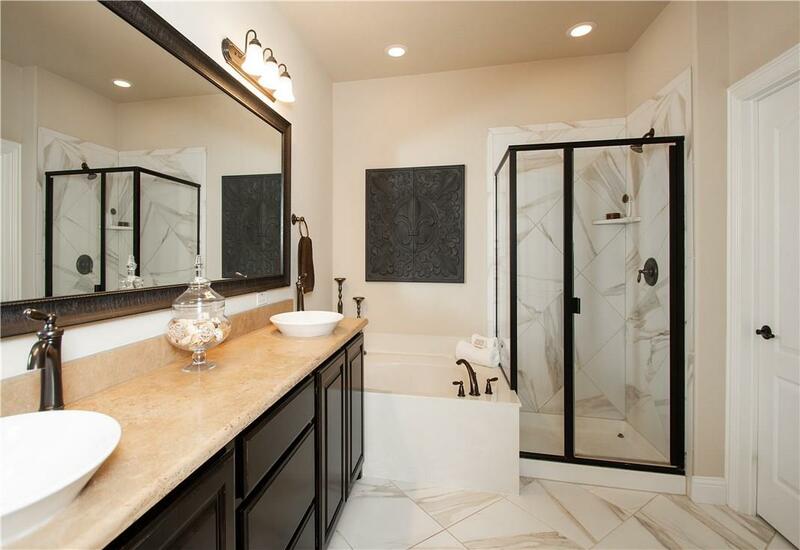 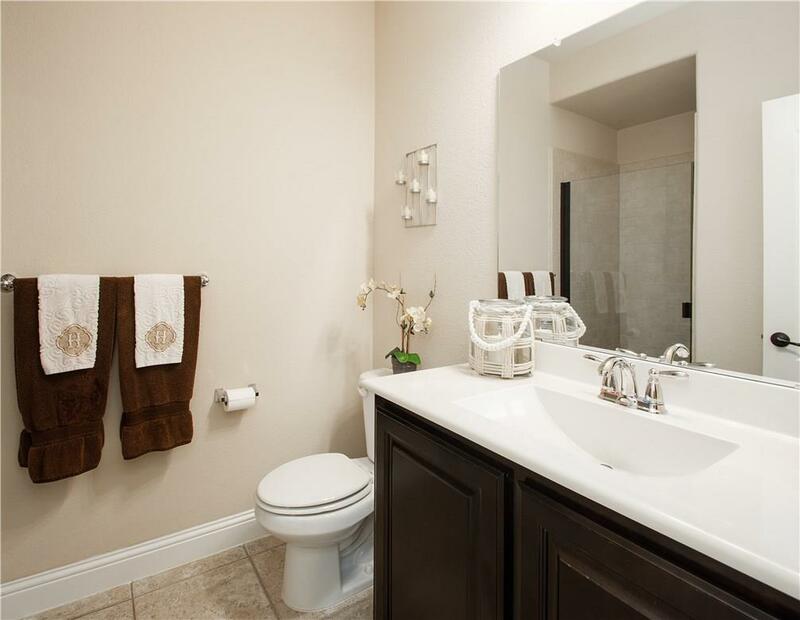 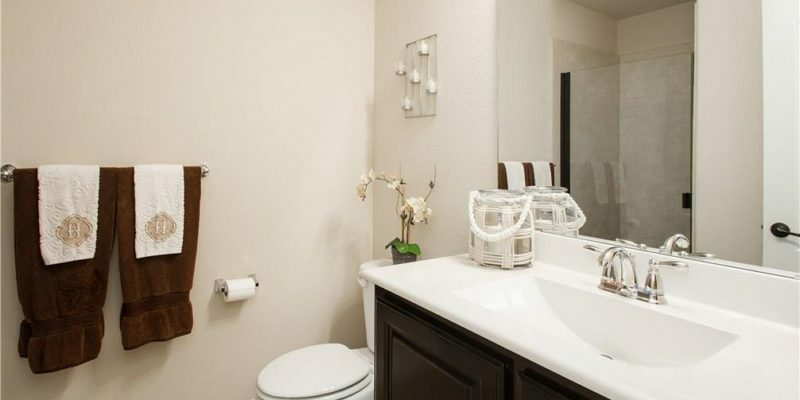 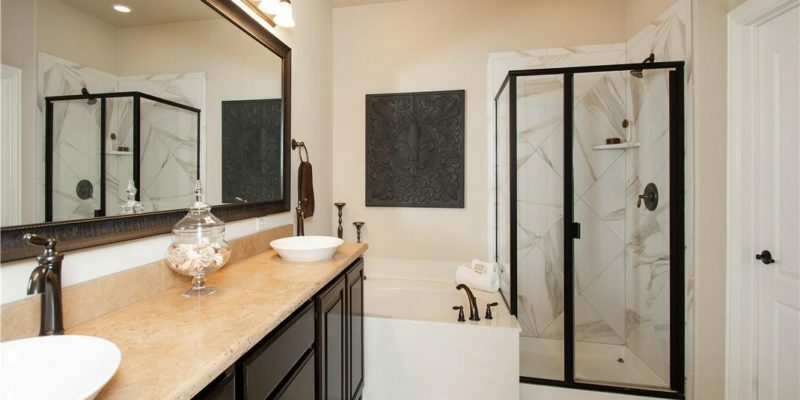 Also on the second level is the master bedroom and luxurious, spa-like master bath with designer tile, bowl sinks, single faucets and stylish, designer countertops. 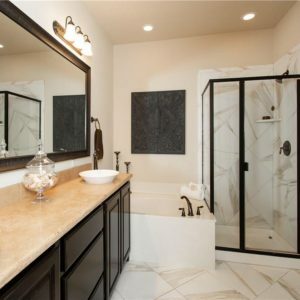 Truly a serene space to relax! 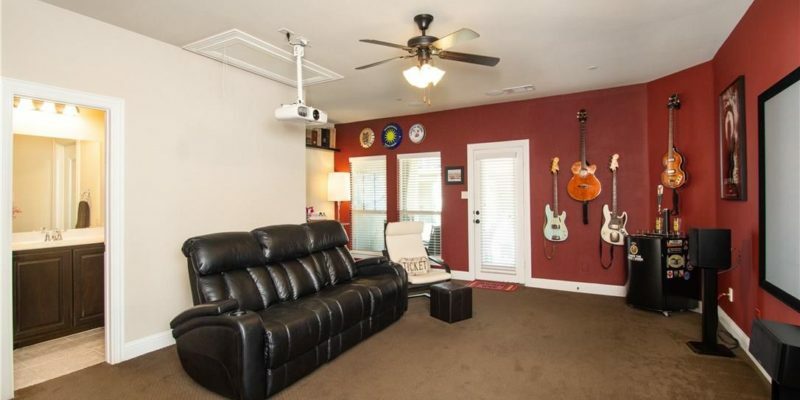 The top floor contains a media room that is like a movie theater right in your own home. 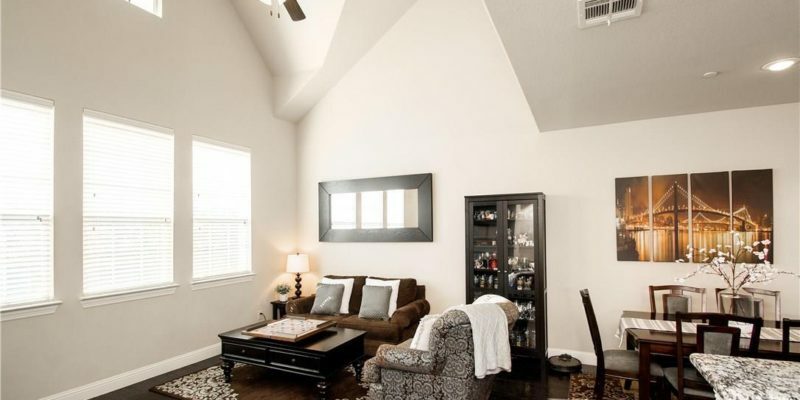 The plush, comfortable seating, projector, oversized screen, and receiver all convey with the home. 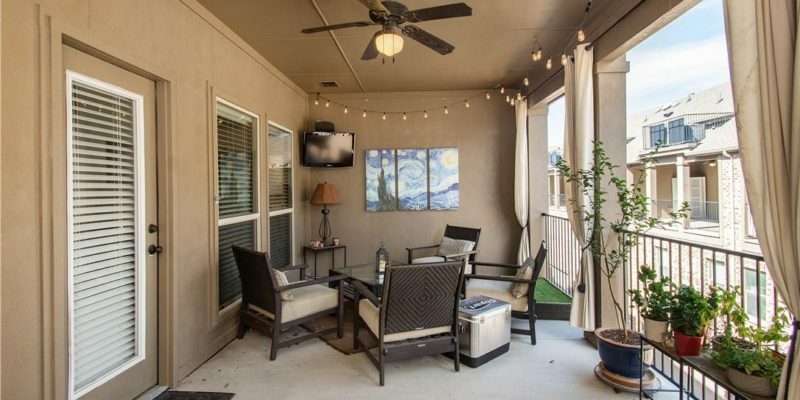 You will also enjoy the over-sized covered patio off the media room that allows you to take the entertaining outdoors! 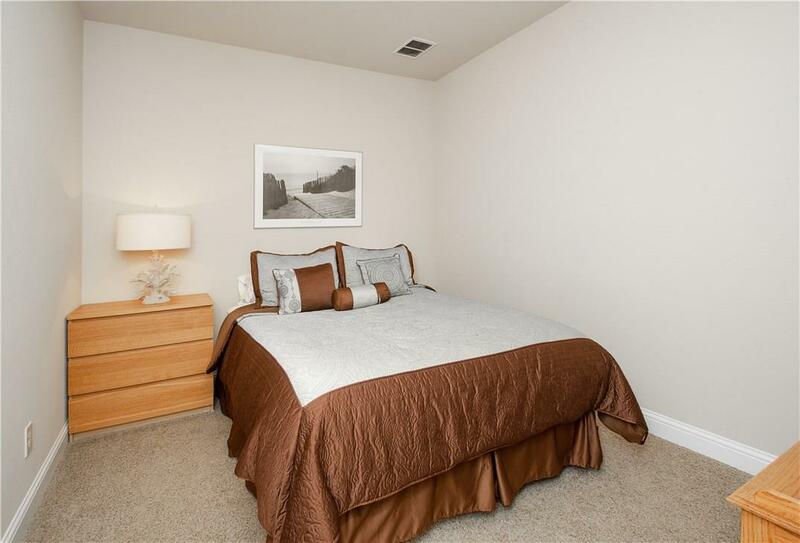 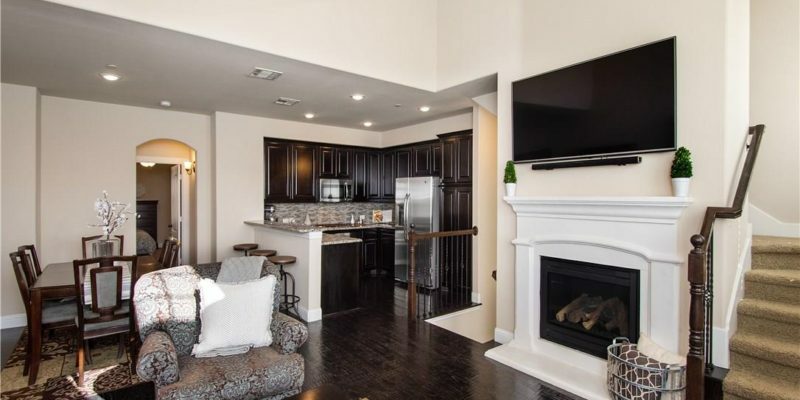 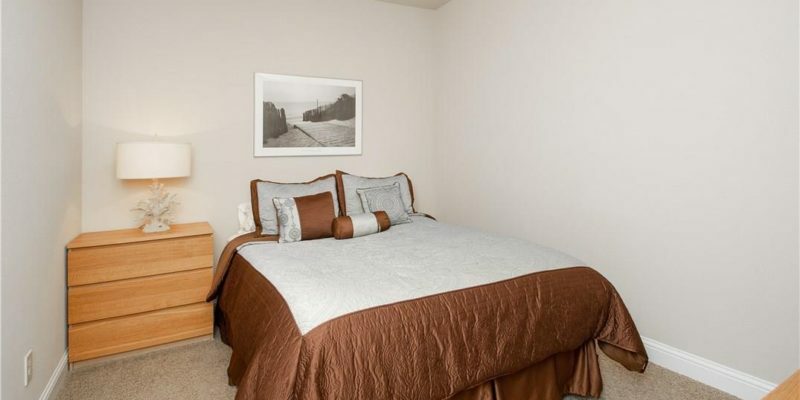 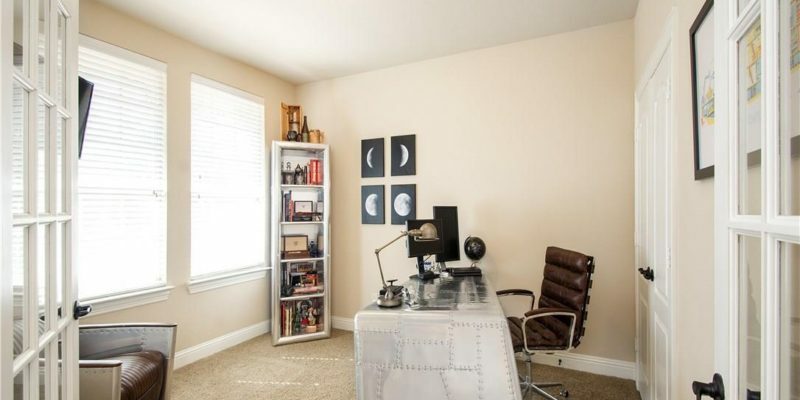 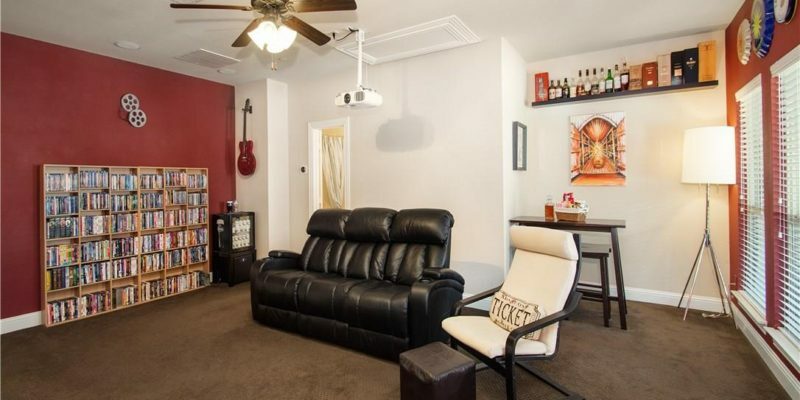 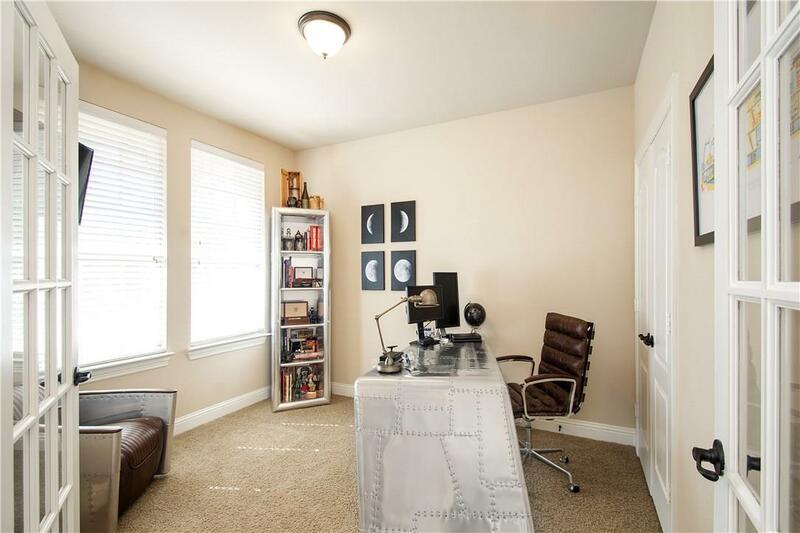 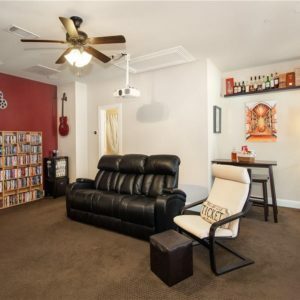 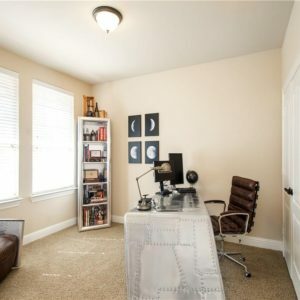 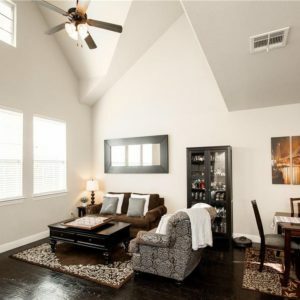 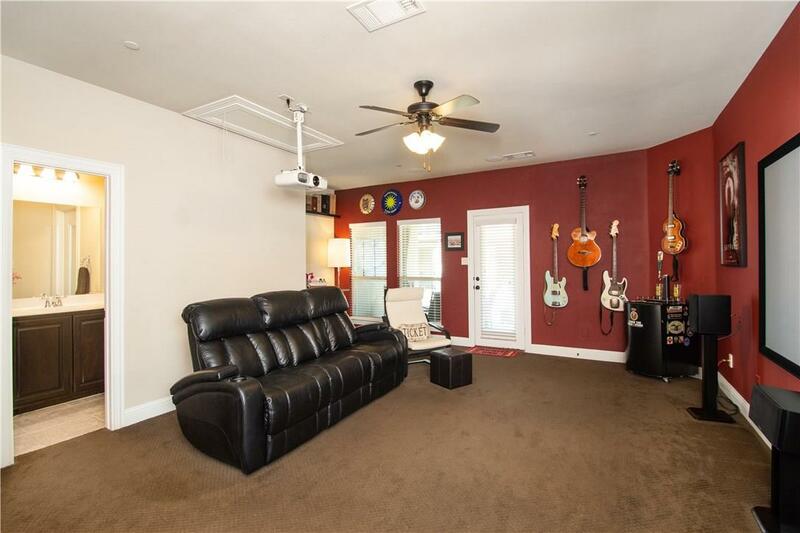 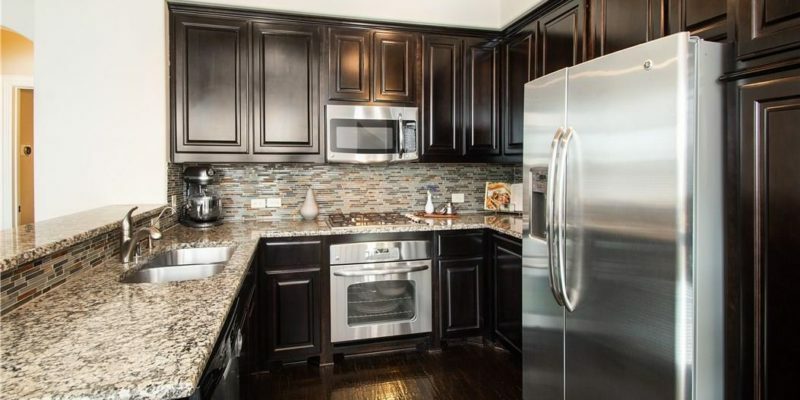 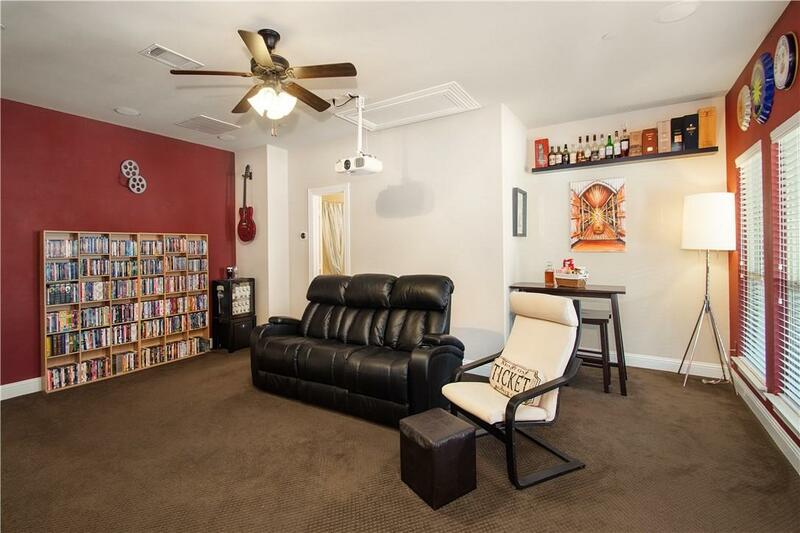 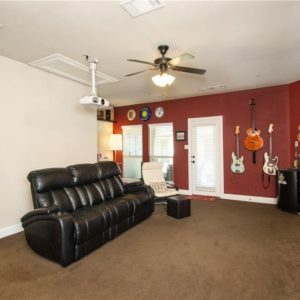 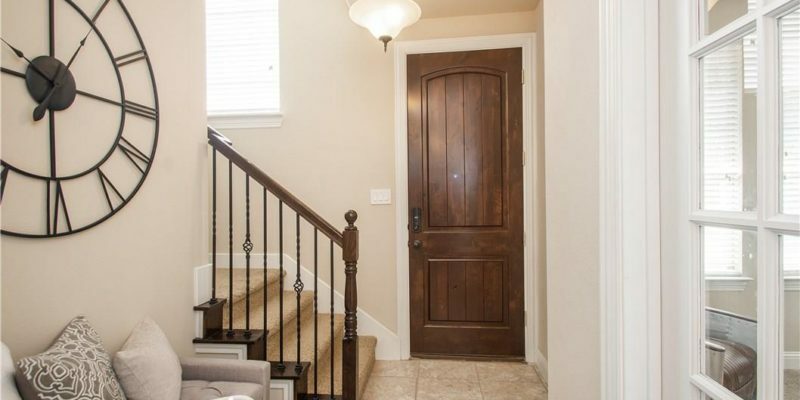 This amazing townhome has ample storage throughout all three floors. 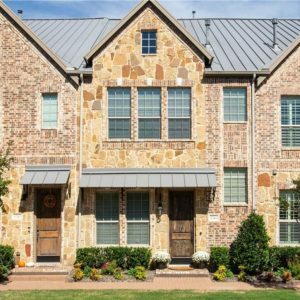 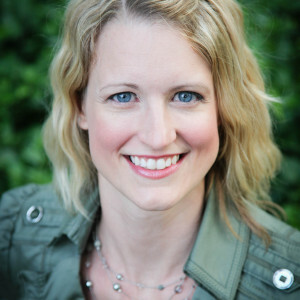 You don’t want to miss this incredible opportunity! 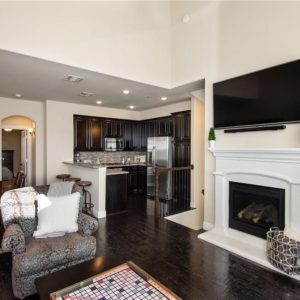 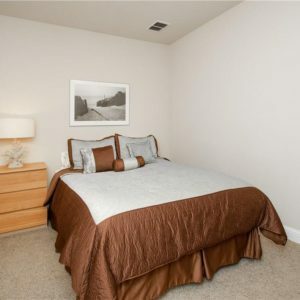 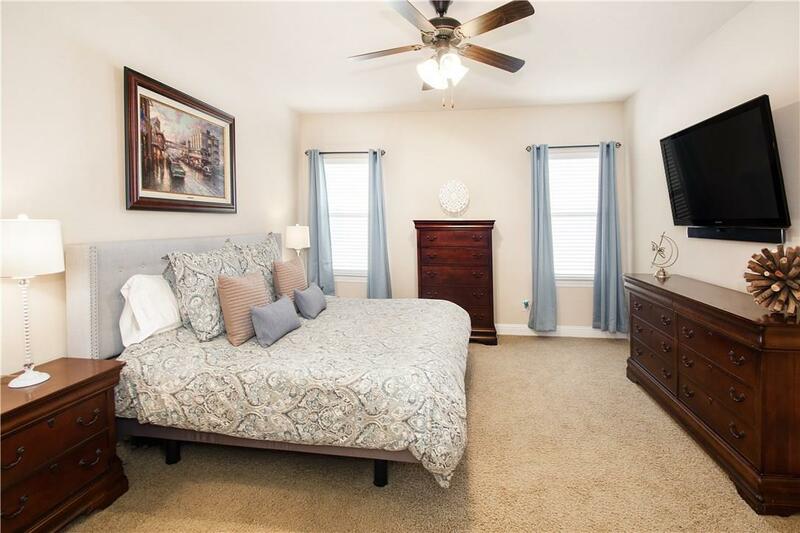 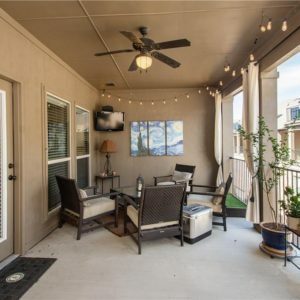 Move-in ready, walking distance to fabulous restaurants, shopping, and entertainment, and a convenience location right off of the Tollway is urban living at its best.